Last year I got pretty good at cooking fish and adding it into my dinner planning. I cook shrimp all the time (the only shellfish Adam likes), but I really wanted to expand my skills and start swapping out red meat for fish where I could. We cut down on red meat a lot last year, which was way easier than I thought it would be. I’m kind of a raging carnivore, and I still eat it, but cutting back on it wasn’t hard. 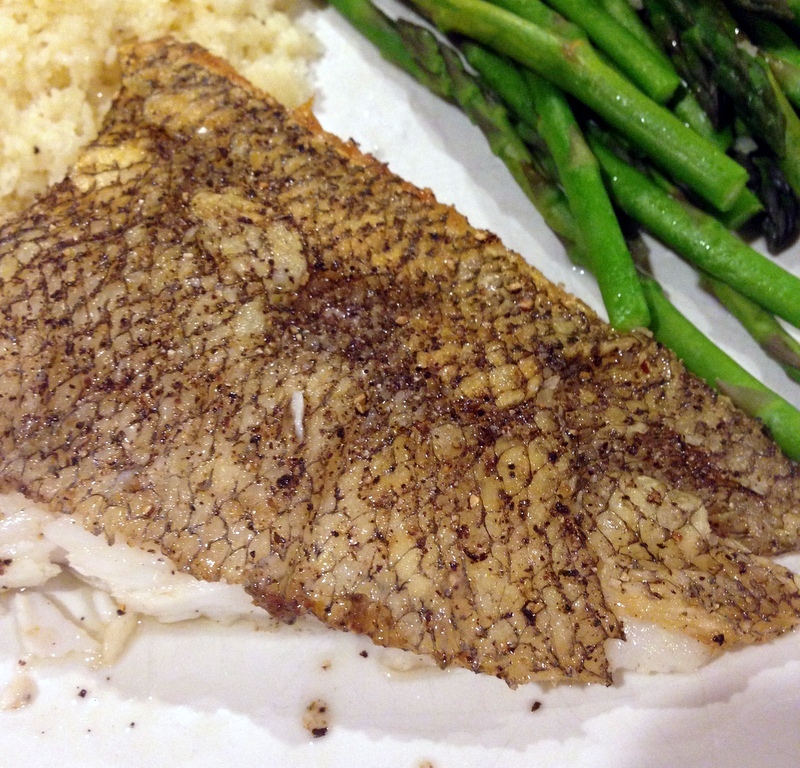 So two recipes I’ve played with a lot (and I hope to expand on this during 2015) are for fish tacos and branzino. Branzino has done me wrong with pin bones, though. I’ve played around with pan roasting fillets (like the Chilean Sea Bass above) using the basic directions from The Fireside Cookbook, and I think that’s much more in line with what I want to cook and eat going forward. There are eleventy billion recipes for fish tacos out there, but I gravitated to Antonia Lofaso’s recipe from The Busy Mom’s Cookbook. I like it because she explains which 3 fish she likes to use and why (because of their durability in the taco), so I’ve got flexibility depending on what I can find. 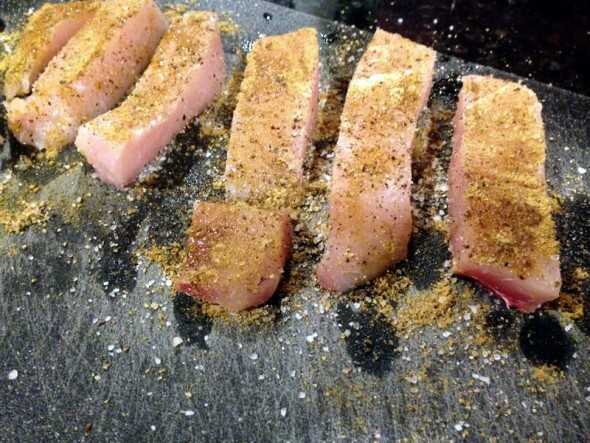 Preheat the grill or grill pan to medium-high. Season the fish all over with salt, pepper, and the cumin-coriander mix. Lightly oil each piece of fish and cook 3 minutes on each side. Remove and let the fish rest for 2 minutes. Meanwhile, heat the corn tortillas in a nonstick pan. Make the slaw while the fish cooks. 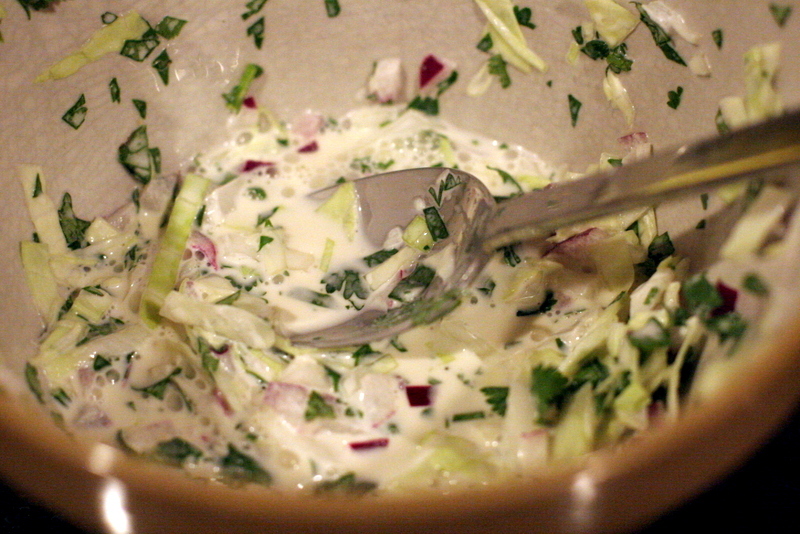 Combine everything for the cilantro cabbage in a medium bowl and toss well. 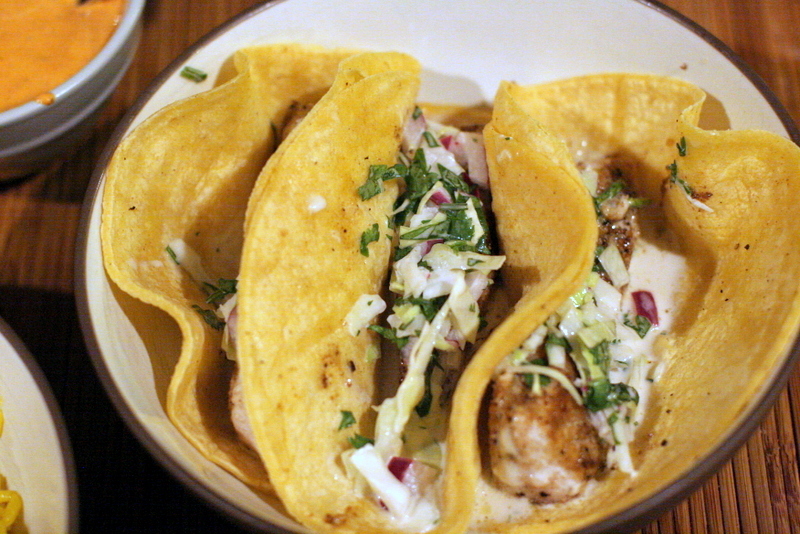 Fill each tortilla with 1 piece of fish, a drizzle of chipotle mayo, and an equal portion of cilantro cabbage. This looks really as appetizing and pretty easy. Hmm, what do you serve as sides?